BuyHTTP is the perfect place to host your blog site. We support all of the most popular blogging scripts and have a 1 click installer for WordPress, b2evolution, Textpattern, Nucleus and LifeType. Blogging is the best way to get your information out to the masses and encourage interaction with your site readers. This list includes some of the blogging systems that can be installed with our 1-click installer system, Softaculous. This is not an all inclusive list of systems that will run on our servers. If you don’t see your prefered script listed, feel free to contact us to see if it will work. A powerful free blog/CMS engine you can install on your own website. While it already includes more than the traditional blog software features by including file & photo management, versatile skins and multiple blogs… b2evolution is actually more than a blog! Content management system oriented features include stand alone pages, configurable menus and detailed user & group permissions. b2evolution is free, open-source software (GPL), runs on virtually any web server featuring PHP + MySQL and is available in several languages. Chyrp is a blogging engine designed to be lightweight while retaining functionality. It is driven by PHP and MySQL (or SQLite), and has a great standard theme and robust module engine. You can personalize and modify it any way you want. All of your content is powered by a unique Feathers system that allows Chyrp to be whatever you want it to be. You can post anything and everything, or just stick to the default Text feather and run a regular blog. Chyrp destroys the fine line between a blog and a tumblelog..
Dotclear is an open-source web publishing software created in 2002 by Olivier Meunier. A one man’s project at first, Dotclear soon gathered a team comprising different personalities with various backgrounds. The project’s purpose is to provide a user-friendly tool allowing anyone to publish on the web, regardless of their technical skills. Dotclear is a free software primarily designed for its users and regularly improved by their contributions. Everyone may use it and modify it according to the software license. eggBlog is the free php & mysql blog software package, allowing you to create your own online website, journal or weblog (blog) using your own web-space. Powered by PHP and MySQL, eggBlog has a wide range of features. Nibbleblog Easy, fast and free CMS Blog. The database used is based on XML files and this way it is not necessary to use MySQL or similar DBMS. 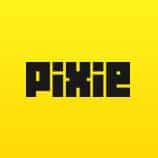 Pixie is a free, open source web application that will help you quickly create your own website. Many people refer to this type of application as a content management system (CMS), we prefer to call it a small, simple, website maker.